Addiction has been on the rise in the U.S. especially with issues such as the opioid epidemic affecting millions of Americans. People who suffer from addiction can rarely recover from the problem without some kind of professional help or treatment program. Addiction treatment and improving the way that we help people with addictions should be a main focus in addressing the epidemic. Expanding access to addiction treatment is one of the most important ways the government can respond to an addiction crisis. By giving people more opportunities to get help they can improve the chances of survival and recovery even from deadly addictions like opioid dependency. Making it easier for people to get insurance coverage for addiction treatment can be an important stepping stone in changing the current trend in addiction. Increased access is crucial but also improving the accountability of addiction providers is another way to combat the addiction crisis. People in recovery need quality care and treatment centers must be able to provide results so that patients don’t end up relapsing. Variations in the service provided by addiction treatment centers could lead to issues in the effort to curb high addiction rates in the U.S. There are thousands of addiction treatment centers across the country but not all of them operate the same way or offer the same level of care. 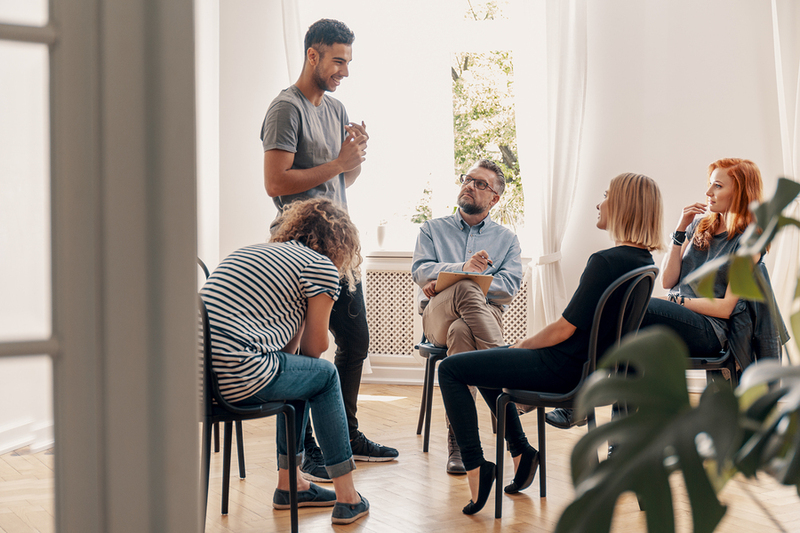 In fact addiction treatment facilities can vary greatly as far as the cost of services, the amenities that they offer and the experience of the staff members. Some treatment centers also disagree about the use of medications to treat opioid abuse. Medication assisted treatment can be life-saving for people who are addicted to opioid painkillers because withdrawal can be especially difficult for them. Providing medications such as methadone or buprenorphine can prevent overdoses and get people stable right away. This can prevent tragedies from occurring and lower the death rate associated with opioids especially when people are waiting to get into treatment. Treatment centers that choose not to offer medication assisted treatment may believe in abstinence as the only path to recovery. However, many patients get better results from treatment and are less likely to relapse if they have access to medications. Expanding medication assisted treatment could actually be very beneficial to improving addiction treatment particularly in regards to the opioid crisis. One way to improve addiction treatment centers is to make the quality of care provided by different facilities more transparent to people before they enroll in rehab. This could be accomplished through the use of consumer report cards which could drive up the quality of health care providers. Consumer report cards have proven useful in rating hospital care and nursing homes in the past and could be beneficial for addiction treatment as well. Public reporting of treatment can help potential patients get a better idea of what to expect in a treatment center. This can help them better choose an addiction facility that they believe will work for them. Making more information about treatment centers public is a good way to hold them accountable and give them incentive to improve their quality and results. Consumers need to know what to expect from a treatment center and if they don’t have reliable information they may not be able to make an informed decision on where to stay for recovery. Having access to more information can allow them to experience a better outcome and prevent the possibility of relapse. They may have specific symptoms or issues that need to be addressed and knowing more about the treatment center can help them make sure their needs will be met. One way to evaluate whether an addiction treatment center is providing quality care is to look for certain criteria. Things like the standard wait time for entering a treatment center and their screening procedure can be important to know. A treatment center that has a long wait time can be a major problem for people that need immediate help. Treatment centers also need to offer personalized diagnosis and an individual treatment plan based on the patient’s unique issues. General rehabs that don’t focus enough attention on individualized care can be less effective for treatment. An addiction rehab should take other issues into account such as mental and physical health problems that need improvement throughout the program. One of the most important aspects of treatment is the ability of patients to receive continuing care after they leave. An aftercare program can effectively prevent relapse for many people who are struggling with the transition out of treatment. As addiction continues to be a major health crisis, increasing access to and improving the quality of treatment centers can be instrumental in saving lives across the country.